As always, I tried to keep things simple and fun and open-ended enough that your kids (or you!) can add names, signs, snow flakes, trees, toys in the windows, etc. 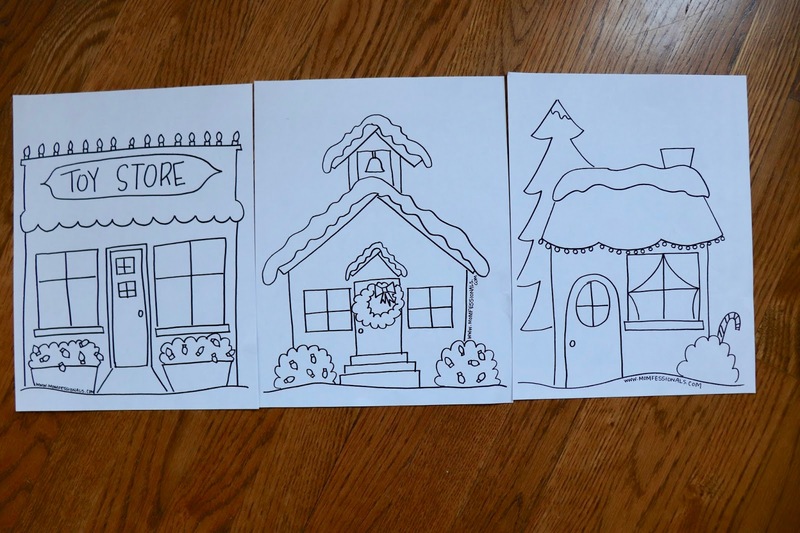 If you end up using these I'd love for you to send me a picture and/or tag me on Instagram - seeing all the creativity and ways your kids imagine towns with them makes my day! You can download the entire set for free HERE. Enjoy and Happy Thursday, friends!!! SO CUTE!!!!!! I love it when you do these! For whatever reason, my computer won't let me access google docs. Is there anyway you can also post a pdf (or some other way)? My kids would love these. So talented! Thank you so much for doing this. They are so cute again!! These are so cute and you are so talented! 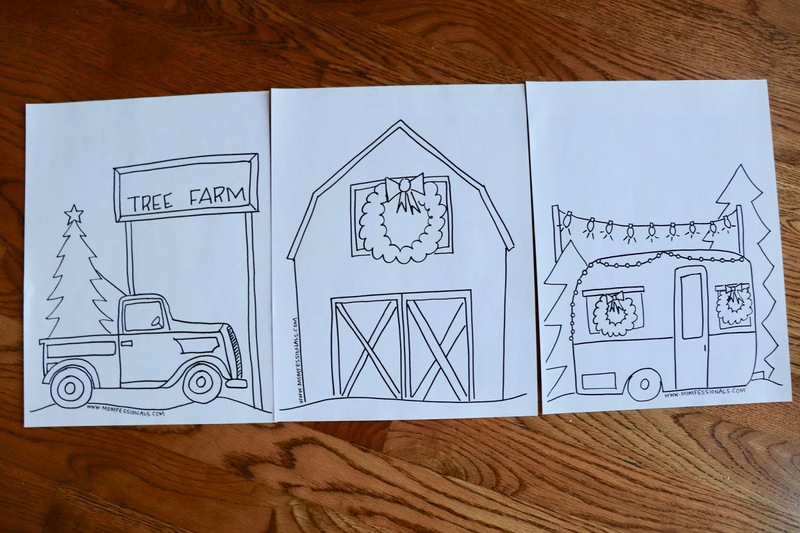 I can't even draw stick figures ;) If you don't mind me asking, where is your pumpkin garland from? Thanks Andrea! This is perfect for today since school was cancelled due to it icing all night! My daughter loves when I surprise her and bring these home to color! Thank you so much for sharing your talent with us! Can not wait to get home to print for my kids!!! We loved the Halloween pics! You are so talented! 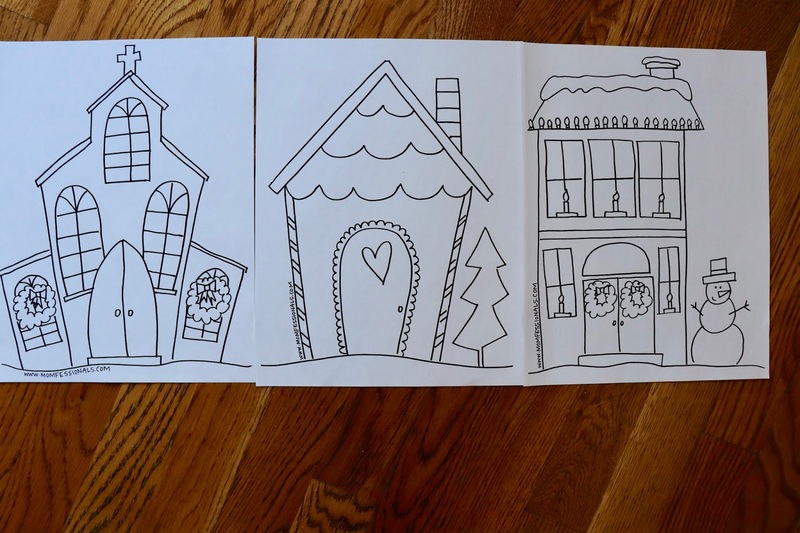 My kids will just love coloring these. Thank you! Printing now!! Hours of fun ahead. My kiddos will be thrilled! Thank you for sharing!!! Absolutely adorable! Love all your doodles..I'm telling you, you should turn these into note cards ,pads,stationary,etc..and maybe sell on Etsy? They are so stinking cute! You are one talented Momma! Thank you for sharing. I can't thank you enough for doing these! My little man loves these. We have a great time coloring them together. 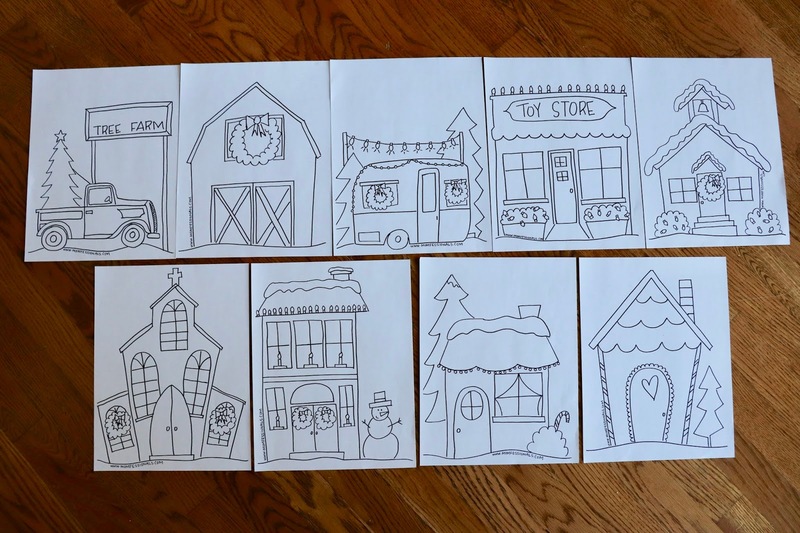 My family absolutely adores your doodle town pages! Thank you so much!! I enjoy them just as much as the kids! My daughter is obsessed with these! We print them out over and over again. Hours of fun! THANK YOU!! My girls and I just ❤️ these so much! I wanted to share a fun idea using your pages. You can write in addition, subtraction or multiplication problems in the different sections. Kids love it- quick math practice and then they get to color. Another idea is to make a little key showing all the 1’s get colored purple, all the 2’s red and so forth. It is great for little ones learning to identify and match numbers. I love these, too, but I'm worried about Griffin sticking her foot in the fireplace. BTW, my middle name is Worry Wart. Ha!!! My daughter LOVES these - she pretty much asks everyday for your Christmas version! Thank you for sharing - I will have one super pumped 1st grader tonight!! Love this idea with my 2nd graders. Love this idea for my 2nd graders. My granddaughters will love these when they come for Thanksgiving. You are so talented. Thank you so much for sharing! You are amazing!! Thank you so much for sharing!!! Hey Thanks! Every year we do an advent calendar with activities, I remember you posting this back in November and came back to print it today because today we are coloring a Christmas Town! ❤️ Your drawings are just so sweet. thanks again!